As a business owner, you’re likely strapped for time and resources. A lot of businesses incorrectly think they need to be on every social media site, and they then struggle to create enough content to keep every social site thriving. The best thing you can do is choose two or three social media sites to focus your energy on. Based on the demographics of your target customer, choose what sites are best for your business. Facebook: 72% of all internet users and 62% of adults worldwide. 77% of women use Facebook. 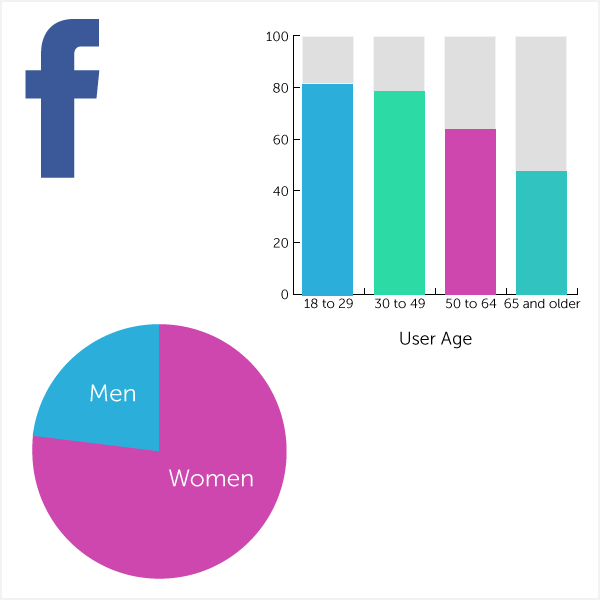 82% of online adults ages 18 to 29 use Facebook compared to 79% of those aged 30 to 49, 64% of those aged 50 to 64 and 48% of those 65 and older. Twitter: 23% of all internet users and 20% of entire adult population. More popular among urban dwellers than rural dwellers. 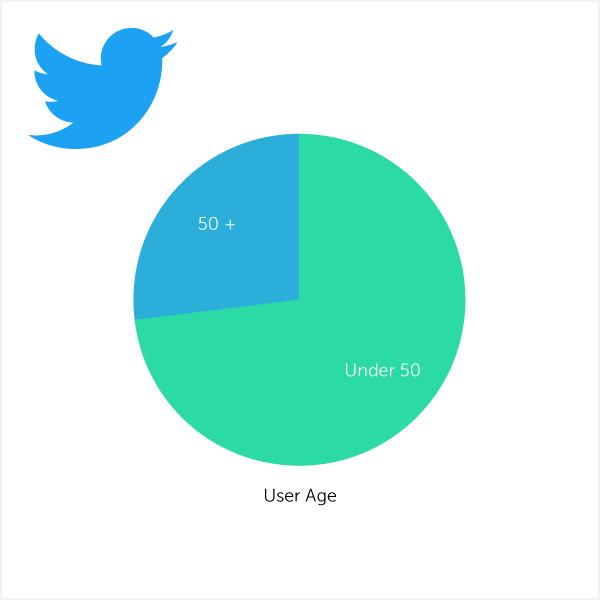 30% of online adults under 50 use Twitter, compared with 11% of online adults ages 50 and older. 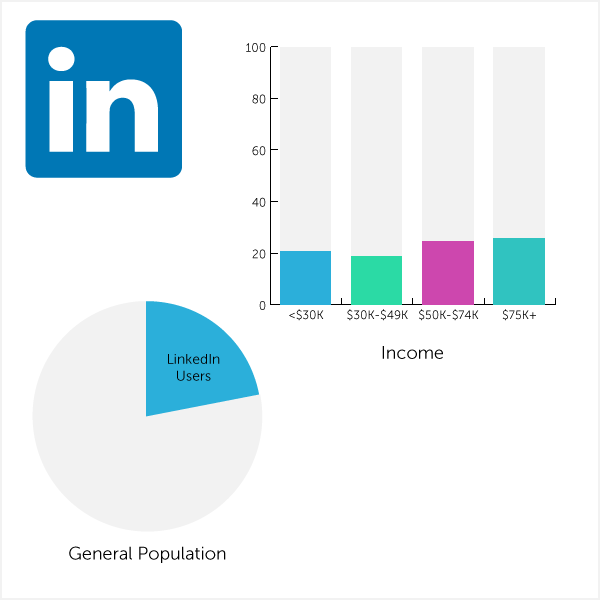 LinkedIn: 25% of adult internet users and 22% of entire adult population. Popular among working-age adults as well as college graduates and those with relatively high household incomes. Usage rates are higher among 30- to 49-year-olds than among 18- to 29-year-olds. Instagram: 28% of adult internet users and 24% of entire adult population. 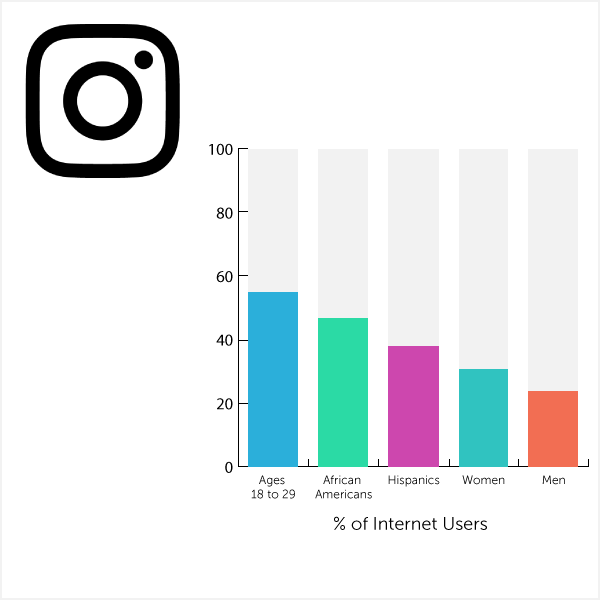 Popular with non-whites and young adults: 55% of online adults ages 18 to 29 use Instagram, 47% of African Americans use it and 38% of Hispanics do too. Online women continue to be more likely than online men to be Instagram users (31% vs. 24%). Pinterest: 31% of adult internet users and 26% of entire adult population. 44% of online women use the site, compared with 16% of online men. 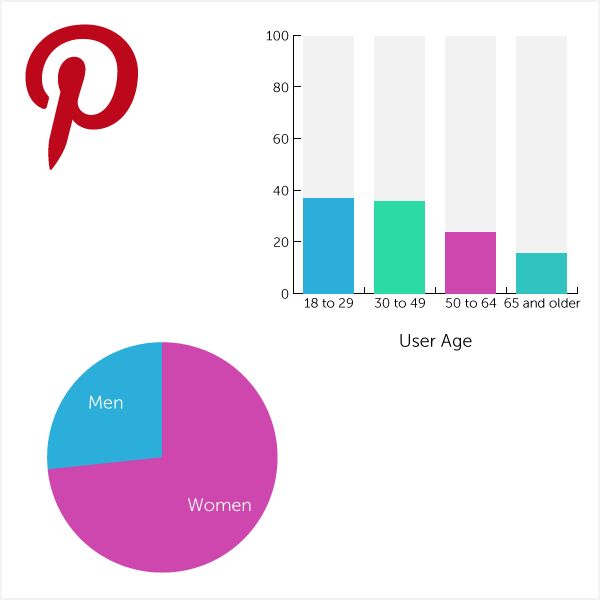 37% of Pinterest users are under 55, compared with 22% of the users who are 55 and older. Snapchat: 200 million active users worldwide and 100 million use it every day. 60% of users are under 25, and 23% have not yet graduated from high school. 41% of all 18- to 34-year-olds use the app. 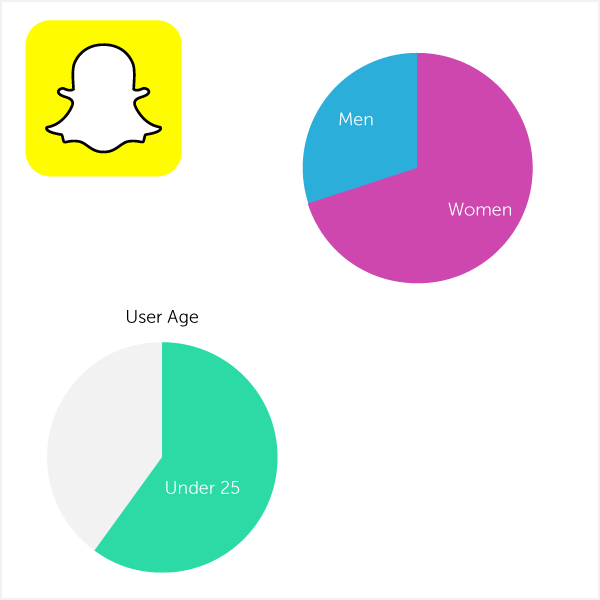 In 2013, roughly 70% of Snapchat users at that time were women. Your social media accounts are an extension of your brand messaging and website, so ensure that all of your social media sites have a cohesive messaging strategy. Since most social sites require a bio, write a 30-second elevator pitch for social media that is pithy and explains your business. And because social media sites send signals to Google for search traffic, you want to make sure to use keywords throughout your social media bios and link back to your website too. The most important strategy to drive traffic back to your site from social media sites is to create content to post on social media on a regular basis. The best way to do this is to create original content for your business blog and then share that content to social media. Unique and interesting content from your point of view will naturally attract visitors to your website. 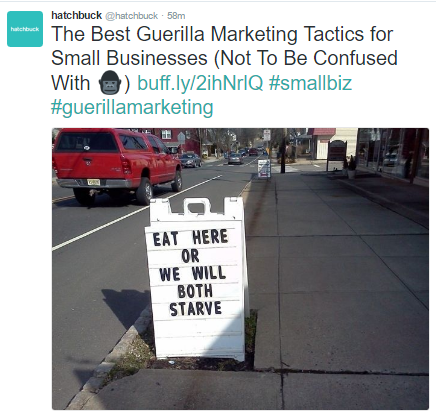 They might even stick around to read more content or research your business. Enable Google Analytics so you can clearly track what traffic is coming from social media, what pages they visit and if they eventually become a customer. Don’t just share your content once and then forget about it — each share on social media can drive traffic to your site. Users sign in at different times of day, and your community is bound to miss a post if you only post it once. Set a schedule to share and reshare such as once when a blog post is first posted, one again the week after, one again the next month and then finally again in three months. 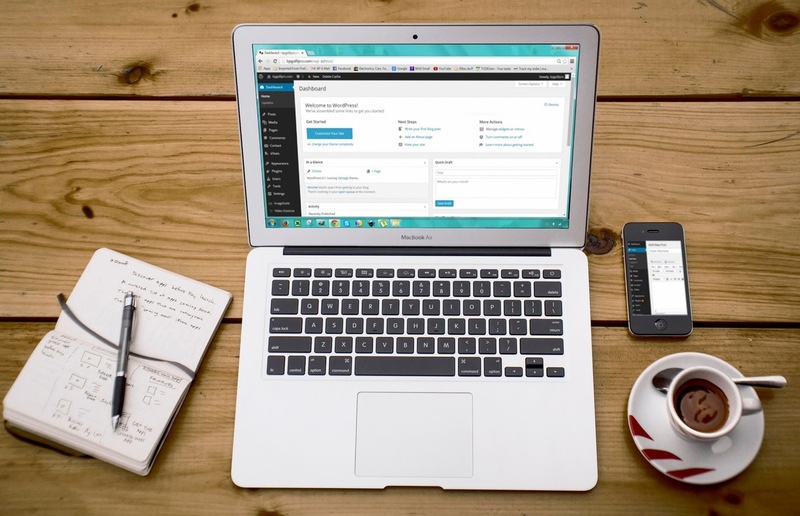 You can schedule these posts to autopost using tools such as Buffer or HootSuite. Test different messaging each time you post the content, and then pay attention to what posts are the most popular and what messaging speaks to your community. Finally, when you see a post getting high engagement, be sure to reshare and reap the benefits. Another great strategy to drive traffic to your website using social media is to connect with online influencers. These influencers are usually media creators (bloggers or YouTube personalities) who have large communities that follow them. When influencers read and share your content, it helps amplify your message and drive even more traffic to your site. Identify influencers who target an audience similar to the audience you’re trying to reach. 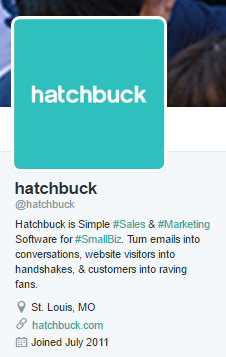 Twitter is a super effective tool for finding influencers and building a relationship with them through conversation. 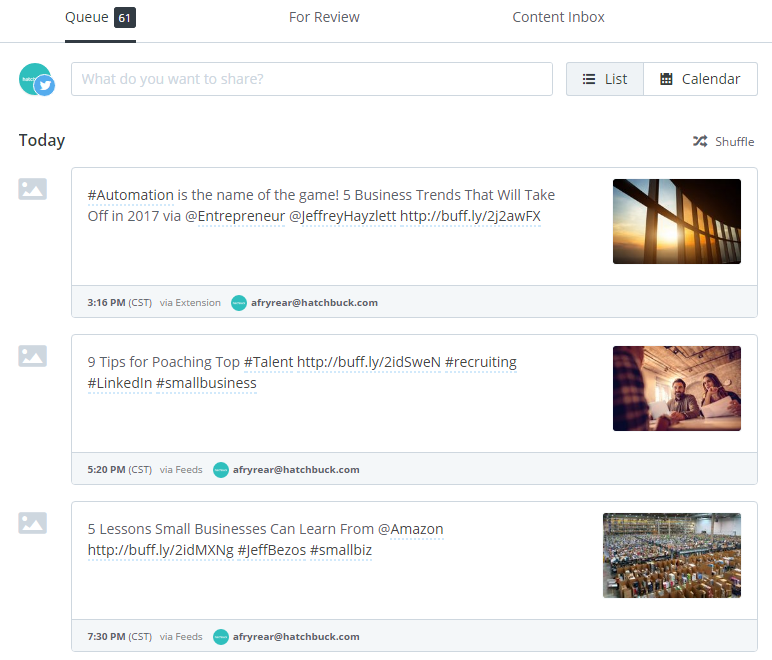 Or, you can launch a more formal influencer program by using a tool such as Traackr. Including thought-provoking images, eye-catching videos, funny GIFs and hashtags with your social media posts can blow your engagement out of the water and significantly increase your reach. Tweets with hashtags attract 2x more engagement, and Tweets with images and videos can get up to 200% more engagement over simple text Tweets. Using 1-2 hashtags per Facebook post can get you an average of 593 interactions per post and image-based posts attract 39% more engagement. LinkedIn posts with images attract 98% more comments. Instagram posts with 11 or more hashtags receive up to 80% engagement, compared to just 22% when using ten and 41% when using two. With the control each social media site has over its algorithm and newsfeed, it can be difficult to drive organic, “free” traffic with some of the major social sites such as Facebook and LinkedIn. A great way to ensure your posts drive maximum traffic to your site is to create a social advertising strategy and monthly budget. Since this can get expensive and time consuming, it’s best to find an ad agency or tool to help manage your social advertising campaigns such as AdEspresso. Use these seven strategies in your business’ social media strategy, and you’ll be surprised how effectively social media can grow brand awareness, traffic and new customers for your business. As you have success, track your efforts and spend to provide a clear picture on what tactics work the best to drive social media traffic to your business.